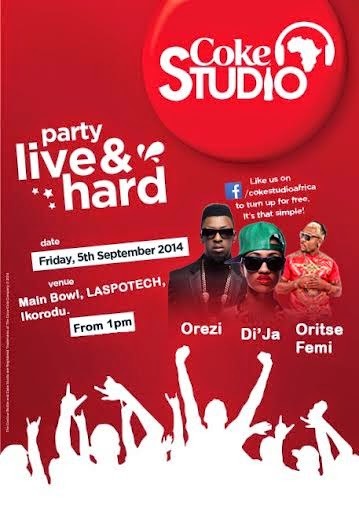 Oritsefemi, Orezi, Di'Ja storm Laspotech with Coke Studio Africa today! 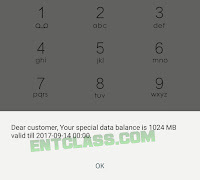 - Welcome To 9jarealgist | #1 Entertainment Blog Welcome To 9jarealgist | #1 Entertainment Blog: Oritsefemi, Orezi, Di'Ja storm Laspotech with Coke Studio Africa today! Oritsefemi, Orezi, Di'Ja storm Laspotech with Coke Studio Africa today! This year , the hit TV show Coke Studio Africa is bigger and bolder, and has been expanded to include a series of concerts across higher institutions in Nigeria. Today at the Main Bowl, Lagos State Polythenic, LASPOTECH Main campus, Ikorodu at 1pm prompt. Oritsefemi, Orezi and Di’ja will storm the Coke Studio Africa stage. Continue...Come show your skills on stage and earn a chance to perform live and collabo with your favourite stars. Admission is FREE, just buy a bottle of Coca-Cola and bring it with you, or you can buy at the entrance!! Coke Studio is brought to you by Coca-Cola.